The Philadelphia Baseball Review released its Division-III College Player of the Week awards on Tuesday for the period ending April 7. 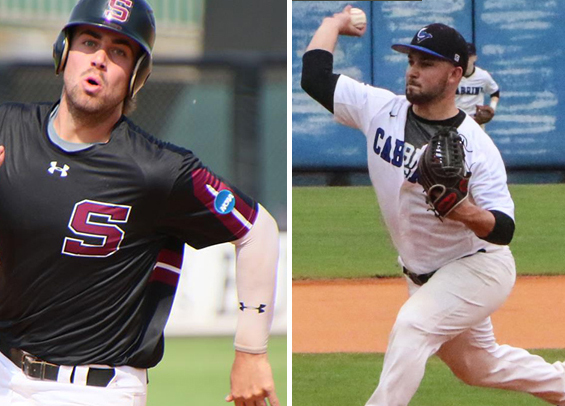 Swarthmore junior infielder Cole Beeker was named the Philadelphia Baseball Review's Hitter of the Week, while Cabrini junior right-hander Kyran Weemaels has been named the Philadelphia Baseball Review's Pitcher of the Week. Beeker hit .533 over the week with seven runs scored and four RBIs for the Garnet. He currently ranks first in the conference in batting average (.450), RBIs (32), on-base percentage (.595) and walks (28). Weemaels threw a complete game gem for the Cavs in a 4-2 win over Neumann, surrendering two runs on seven hits. For the year, he's 3-0 with a 1.82 ERA.